UNCASVILLE, CT (June 25, 2018) – When you do the math, it appears that 1 Dodge Demon + 1 Dodge Viper = $1,000,000. Headliners include U2, Britney Spears, Charlie Puth, Camila Cabello, 5 Seconds of Summer, Sugarland and so many more! UNCASVILLE, CT (June 18, 2018) – “The State Farm Showdown,” hosted by Aaron Rodgers and Chris Paul and presented by Turner Sports and CAA Sports, has added more celebrity athletes to the list of current and past NFL and NBA icons pitting against each other for the first-of-its-kind charity golf tournament set to take place at Mohegan Sun Golf Club June 27th & 28th. Summer is finally here and Mohegan Sun is turning up the heat with our 21st annual Hot Summer Fun celebration kicking off on June 25th and running through September 2nd. The calendar is packed with exciting promotions, giveaways, events, entertainment and so much more! Everything from a Campagna T – Rex giveaway, to the return of one of the region’s best food truck festivals and acts like U2, Britney Spears and Brantley Gilbert at Mohegan Sun Arena. Hot Summer Fun 2018 is sure to be a memorable one. Turner Sports and CAA Sports have partnered to create a two-day charity golf tournament, hosted by NBA superstar Chris Paul and NFL superstar Aaron Rodgers, and set to take place atMohegan Sun Golf Club starting Wednesday, June 27th. “The State Farm Showdown” is open to the public and will feature NBA stars past and present facing off against NFL greats, all to benefit the players’ charities of choice. The action starts at 10:00am ET on June 27th, and 11:00am on June 28th. 2nd Annual Sun Tequila Tasting Friday, July 20th! What: Tequila lovers can discover a variety of premium flavors and aromas when Mohegan Sun’s Tequila Tasting returns this summer. 3rd Annual New England Food Truck Festival At Mohegan Sun! Saturday, September 1st & Sunday, September 2nd! 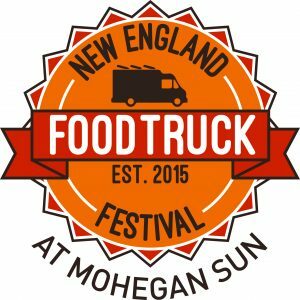 UNCASVILLE, CT (April 20, 2018) – The New England Food Truck Festival returns for a third year at Mohegan Sun. This festival will feature dozens of food trucks, live music and entertainment for kids, including face painting, field games and more. The festival will also feature a firework show on Saturday starting at 9:30pm. A truly unique event where you can linger until you have sampled all the best of what we have to offer! UNCASVILLE, CT (April 6, 2018) – It’s time to get messy at Sun BBQ Fest presented by King’s Hawaiian, Saturday, June 2nd and Sunday, June 3rd at Mohegan Sun. Festival goers will be able to sink their teeth into barbecue-smothered favorites, full plate meals, ribs, wings and more! Live music and cooking challenges will also take place throughout the weekend for the whole family to enjoy.